What should I say to these women? That’s the question I’ve been asking myself ever since I was asked to speak at the Royal Ottawa Mental Health Centre. On Monday I will address a group of women who are working through mental health issues while trying to rebuild their lives. It’s a pretty safe bet that their financial worlds are not rosy. The first time I spoke at the ROMHC I stuck to the topic of building and maintaining a good credit profile. The women were engaged and deeply interested in discussing the financial issues that arise when dealing with mental health challenges. It was an inspiring, humbling evening. I walked away thinking that I wanted to offer so much more to these women. Sure, good credit is essential but it’s just one part of the whole financial picture. What these women really need is a broader money plan. But where should they start? In the years following Malcolm’s death, I came to realize the importance of being financially solid. If you don’t nail down your finances, it’s hard to move forward with your life. Financial stability doesn’t guarantee happiness but it sure makes it easier to accomplish. The key is breaking down the behemoth that is “your finances” into manageable chunks. Just as we did in kindergarten for reading and writing, we need to master the building blocks of sound finances. If we look at all the aspects of money in our lives, they break down into four overall categories: Know, Make, Manage, Grow. This is the core of what I teach and it’s from these categories that a plan emerges. Let’s take a quick look at each category and figure out how to put it all together. How are you doing financially? What do you earn? What do you owe? Are you protected in case life happens, as it so often does? By protected, I’m talking about having life insurance, a valid, up-to-date will and financial structures that minimize your risks in the event that something happens to you, your partner or your union. You might think that it’s essential to start with a snapshot of your current situation, but as important as this category is, it doesn’t rate the #1 spot even though countless financial experts counsel you to start here. Create a spreadsheet, write everything down, track your expenses, get a snapshot of where you’re at. That’s the way to do it, right? Forget it. Don’t get me wrong: you do need to know this stuff. This category works hand-in-hand with the others but creating a pretty spreadsheet is not job #1. Stay with me on this. This one is pretty obvious: how much do you earn? What are your sources of income? Are you happy with the amount you’re bringing in? Is it sufficient to cover necessities and to allow for everything else that you want to accomplish? Do you have a plan B in place just in case something happens to your source of income? Are you dependent on anyone else for money? What if something happens to them – what then? More importantly, are you fully utilizing your creative gifts to generate as much income as possible? Making money is a big deal for women because, for the most part, we earn a fraction of what men earn. As a result, we are more vulnerable. Compounded with that is our propensity to have lower expectations when it comes to money. We’re satisfied with less, we ask for fewer raises and sometimes we don’t even think that we’re capable of earning more. There is a big stumbling block in the six inches of real estate between our ears. Figuring out how to make enough money to be self-sufficient is clearly important. Not enough money = big problem. Therefore, it’s a no-brainer that this category deserves to be at the top of the chart, but while it may be a necessary condition to financial stability, it is not a sufficient condition. Ah, now we get down to the crux of it: managing what you have. How well do you use the money you do have? Do you have a lot of consumer debt? Are bills being paid on time, all the time? How much money is set aside for savings and growth? Here’s what I’ve seen in my rent to own company: more money does not necessarily equal a better life. I can show you file after file in which the people with the highest incomes dig the biggest holes for themselves because they do not know how to manage money in the first place. When they make more, they spend it on doodads (e.g. lunches out, the latest iPhone, etc), to quote Robert Kiyosaki, author of Rich Dad, Poor Dad. They do not pay off debt; they incur more. They do not add to their savings; they buy more stuff. They do not make their additional money work for them; instead they grow their lifestyles. If you do not know how to properly manage small amounts of money, then larger amounts of money won’t do anything more for you other than provide you with a short-term buzz as you spend your way through the pot of cash. This is where women want to start their money plan – by learning to wisely utilize the money they do have and base their spending choices on their ultimate goals. Figure out the destination, create written goals and spend accordingly. If a woman finds herself adding to her debt load because she does not earn enough money and she only spends on necessities, then her problem shifts over to the MAKE category and she needs to figure out how to increase her top line. In this case, she already understands that money should first be spent on essentials – housing, good food (i.e. not restaurant or fast-food meals) and health care. She can’t possibly save or grow any money because she doesn’t have any left after the necessities are taken care of. So her attention would shift to making more money. If you want to know how well you’re doing with your spending, take a look at your credit card bills. What shows up there? Track that for a couple of months and you’ll get a very good idea of how well you’re using your cash. This is part of the KNOW category. As you work on improving your financial management, you start to track your expenditures. The two work hand in hand. If you take care of managing your funds well, you will automatically enhance your credit. 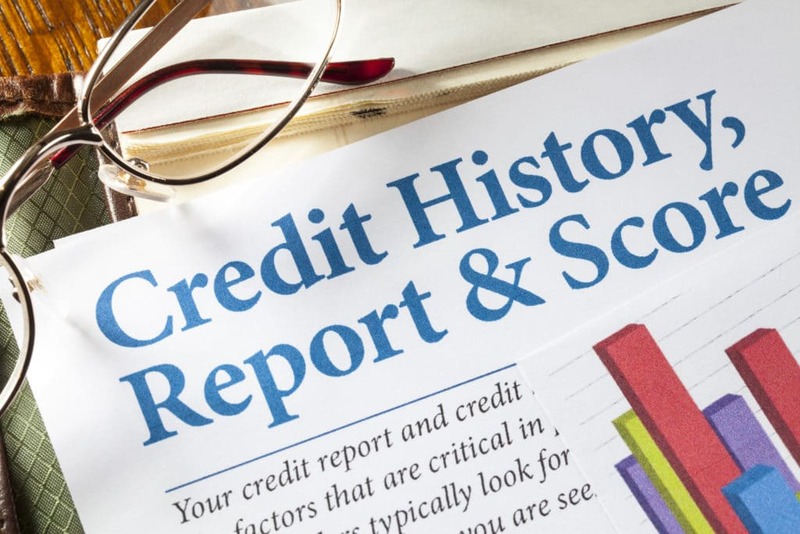 Sure there are a few additional things you need to know about building your credit but you’ll be well on your way with good management skills. If you want an overview of how to improve and protect your credit score, email me to request a copy of my free eBook and I will happily send it to you. For my money, this is the place to start. Good management is key to being financially successful. Now you have some extra cash because you’re doing a great job of managing your income, you earn enough to more than cover the bills and you understand that you need to set some aside for the future. Now the question is, what are you doing with that extra cash? Are you growing it so that it can work for you rather than the other way around? This category can be a game-changer for women. This is the final step once you’ve learned to manage your funds, protect what you have and grow your income. I’m going to tackle this category fully through my business Women’s Money Day. Stay tuned for a series of interviews with experienced people who will show us how they turned money into their employee. It’s time to make your cash work as hard as you do. 1. Figure out where you want to be and set both life and money goals. Your plan can and probably will change as you move forward but you need to start somewhere. 2. Manage what you have well. Focus on essentials first and ruthlessly control consumer spending. Use credit cards as a tool, not a bank account. 3. Allow your creativity to shine to reach your income goals. It doesn’t matter where you have been or what mistakes you have made. If even a single other person has surmounted the same difficulties and thrived, so can you. Look for role models – you don’t have to reinvent the wheel. Start with a can-do attitude and never, ever give up. If a friend or a relative tells you that you can’t do it, stop listening to them. You choose who gets to influence you. 4. Protect what you have and keep track of your situation, including checking your credit bureau report regularly. Don’t allow fear to run your life. Ugly situations will only get worse if they are ignored. Shine the light on the dark corners, make a plan and take it one step at a time. If you don’t know what to do, ask for help. 5. As soon as you can, grow your assets. Spend on things that will put money into your jeans. Once again, if you don’t know how, ask, read, look. The answers are all around you.